Bare Rose is famous for their fantasy outfit and this time Kitty is not going to introduce an outfit though. 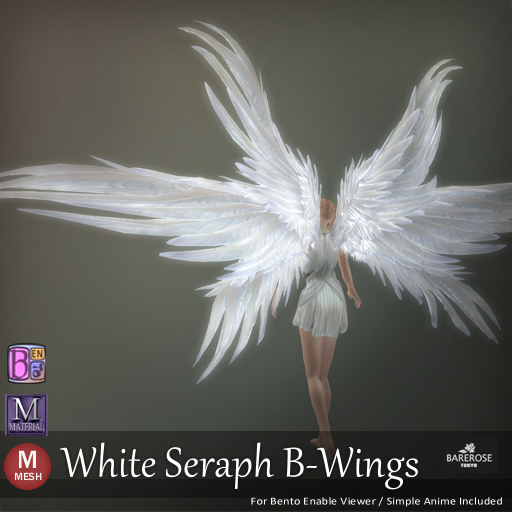 This is the White Seraph B-Wings from Bare Rose and it comes with a simple animation and this works with the Bento enabled viewer as well! 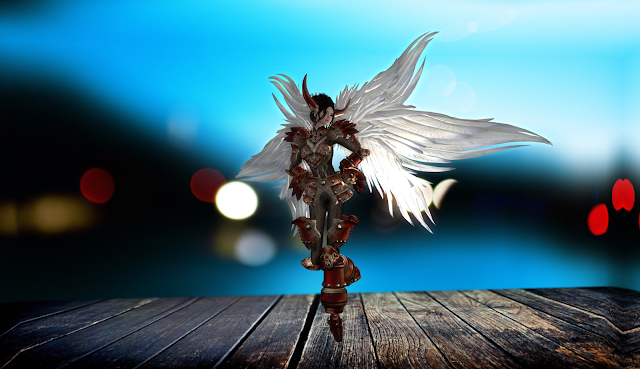 But now she has the Seraph Wings on. It does makes the red armor even more fearsome than before. 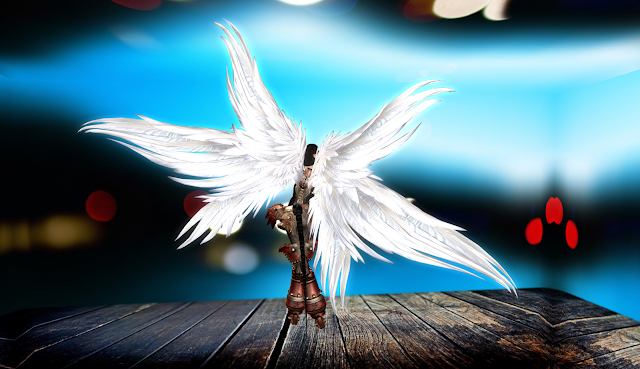 And since this is a Seraph wings, it comes with 3 pairs of it! And here is the back view of the wings so that you can be amazed at the details.